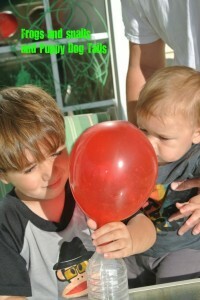 Anything to do with balloons is loved by my boys ( 3yr and 1yr). I knew we had to try this Balloon science experiment out. Over at Mom To 2 Posh Lil Divas in here Blow It Up! Exploring Gas with Balloons, Baking Soda & Vinegar it explained the experiment. I had this post pinned as a must try with the kids. 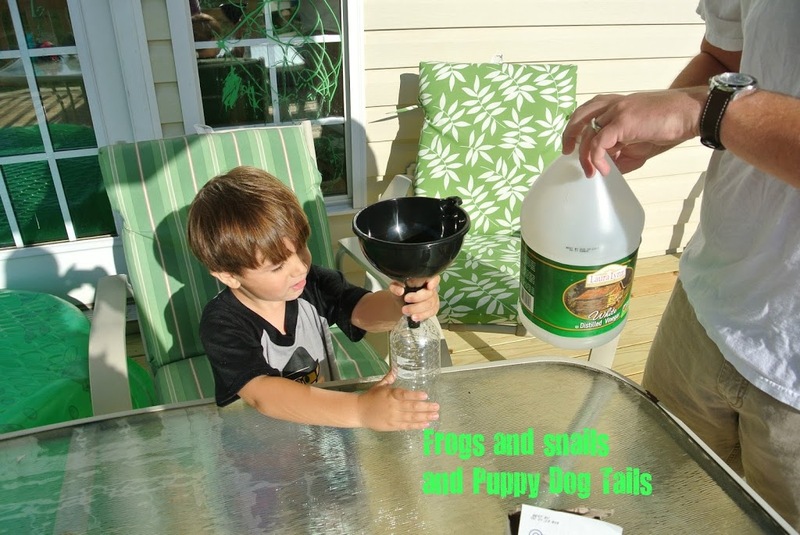 It was a big hit at my house. 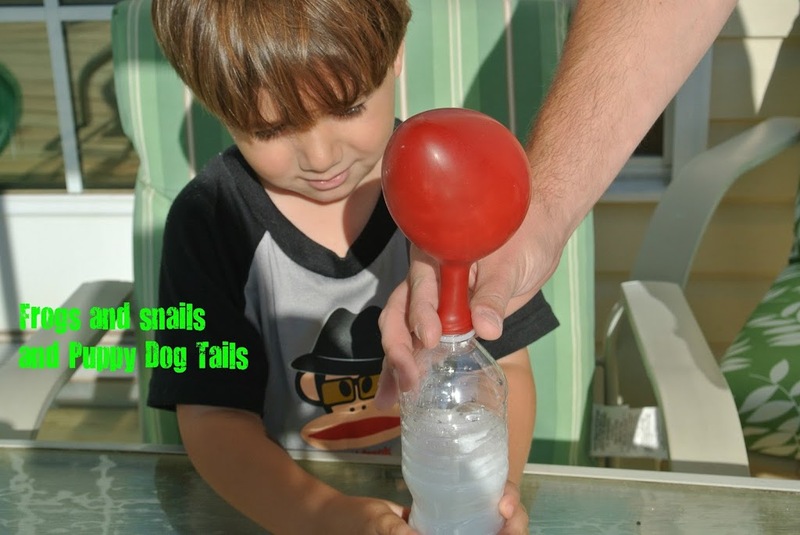 vinegar, balloon, plastic bottle, baking soda, and 2 funnels. 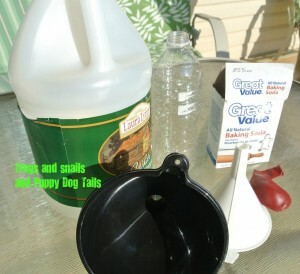 pour vinegar in plastic bottle about 1/3 full using funnel. 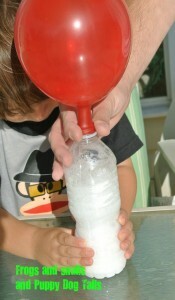 Use the other funnel to pour baking soda into balloon about 1/2 full. Now take the balloon and pinch as you wrap on the top of the bottle so that none of the baking soda goes in just yet. Once you have the balloon on the top of the bottle lift the balloon up causing the baking soda to pour out into the bottle. 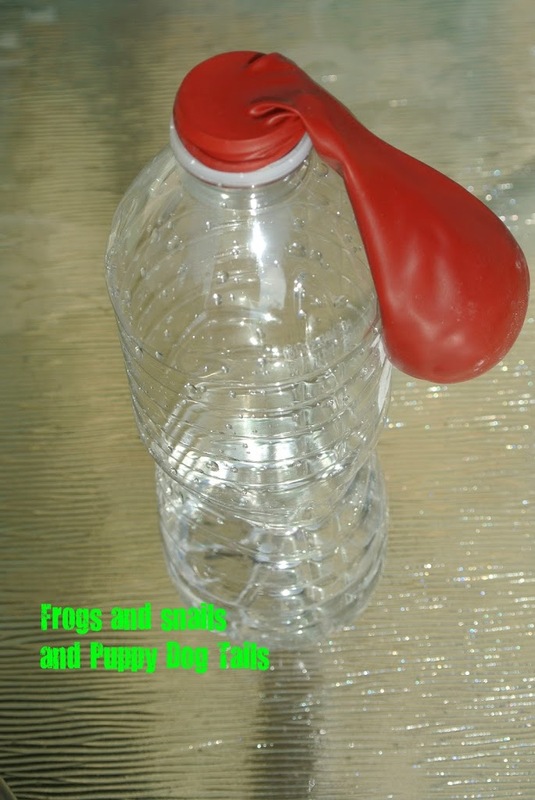 This causes a gas reaction that makes the balloon blow up. My boys just loved watching this and it is always nice to get daddy to join in with us before work on the days he can! 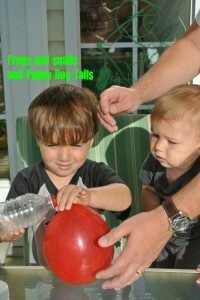 My oldest got to help do the experiment with his daddy. 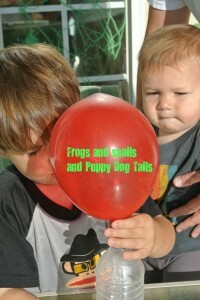 The youngest was running around the deck but we did stop him at the end to show him the balloon and he did like it. I see us doing this again in the future. 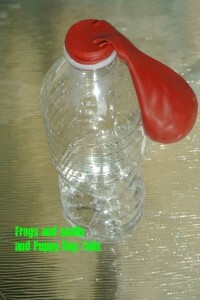 This is how you want your balloon on the top, so when you pick it up the baking soda falls in the bottle. 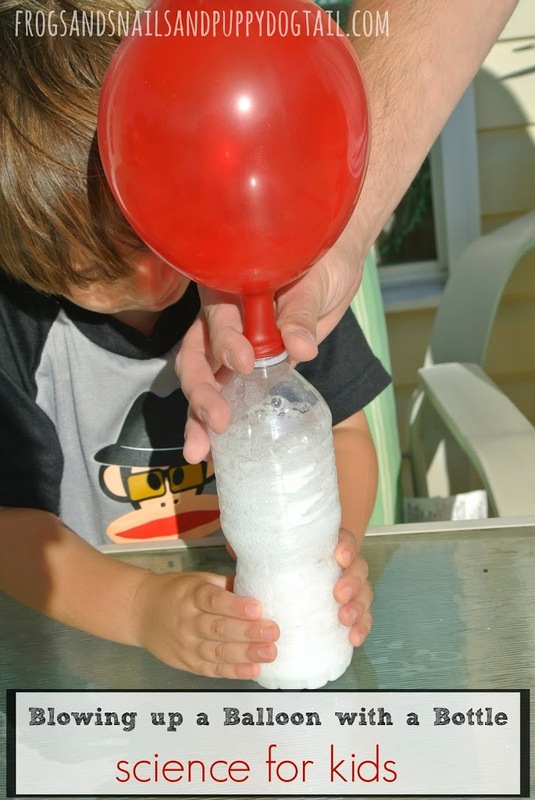 And it is off, the balloon is blowing up with the carbon dioxide gas the vinegar and baking soda create. 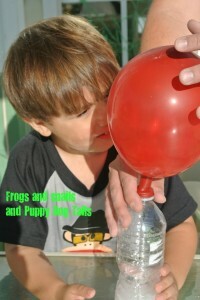 Here is where the little guy joins in and is watching as the balloon is inflated on the bottle. He wanted that balloon so bad. That’s daddy’s arms in all the pictures, not sure why I didn’t get one of him but just the arms. 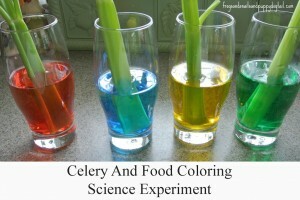 Anyways, hope you may be able to enjoy this experiment too!